NEWS that the Toll Group, Australia’s largest freight mover, has lodged a development application to build its major warehouse and associated facilities ay Brighton has provided a tremendous boost for the Transport Hub and our municipality. THE scout year is in full swing again at Old Beach and with the renewed support and encouragement of the Brighton Council, it seems things can only get better. The only downside is John McDonald’s relinquishment of his role as scout leader due to family reasons. John has been the backbone of the group from its inception. As one of the original founders, he took the idea of establishing scouts in Brighton and ran with it, working tirelessly seeking out new scouts, raising much-needed funds and cultivating the partnership with the Brighton Council that has culminated in the present meeting place and storage facility at Jetty Road. 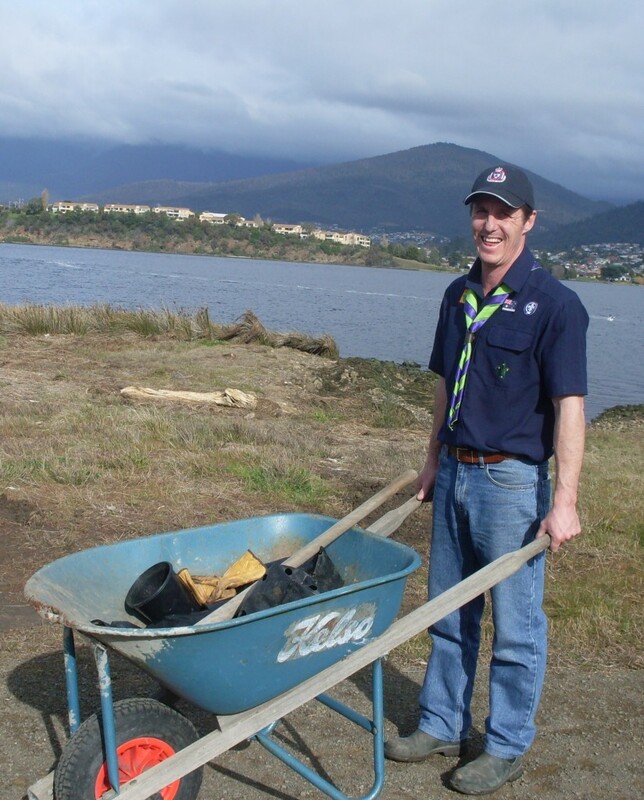 John McDonald, retiring founder member leads the Old Beach Scout Group in planting trees on the foreshore. THE establishment of the Brighton Transport Hub took another step forward with Australia’s largest mover of freight, Toll Group, lodging a development application for the construction of its multi-million dollar custom-designed warehouse and facilities at the new site. The warehouse development will see Toll established as the anchor tenant at TasRail’s new intermodal freight terminal at Brighton, as announced in December last year. Toll’s new interstate rail freight terminal at Kewdale, in Perth Western Australia, a similar to the company’s planned development at Brighton. 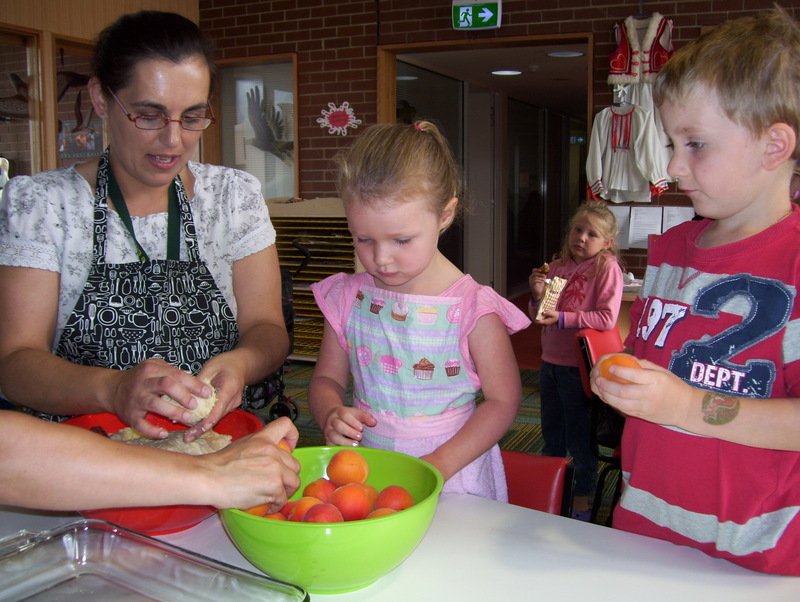 EARLIER this year tagari lia Child and Family Centre turned into a Croatian experience as families participated in ‘Fabulous Cultures’, a cooking session that introduces families to different cultural culinary experiences. Croatian displays were put up around the kitchen including traditional dress, books, flags, and there were videos showing Croatian scenery playing in the background. Bojana Gasparovic demonstrates Croatian cooking with Cadel Nettlefold and Bella Daly. THE issue of local government reform and amalgamations has again come to prominence, with the State Government proposing legislation to allow for compulsory voting at local government elections and fixed four-year terms for Councils. This announcement, likely as much to do with a Government under regular criticism wanting to be seen to be doing something as seeking to achieve real reform, has prompted the vested big property interests to again call for council amalgamations that they believe will reduce the rates on their central city buildings. In previous issues of Brighton Community News, I have pointed out that history in Australia demonstrates that council amalgamations rarely, if ever, achieve rate reductions for average householders. Certainly, the most recent amalgamations in Queensland resulted in significant rate increases for many ratepayers, to the point where a number of councils are now seeking to de-amalgamate! The push in Tasmania, from the Property Council (comprised of the big property owners) and its associates, is for the establishment of a greater Hobart Council comprising the municipal areas of Hobart, Clarence, Glenorchy. Kingborough and Brighton. While on the surface this may seem worth consideration, the reality is that it would represent an extremely bad deal for Brighton and probably for residents in most of the other municipalities. Yes, there could be some efficiency gains in terms of fewer elected officials, some reduction in council employees and council equipment, but would this compensate for the reduced representation, increased bureaucracy and for many, the substantial cost increases as a result of the equalisation of rates between the five municipalities? In Brighton we have established the most cost effective and efficient local government administration in Tasmania. We have the lowest cost base, lowest staff ratio, lowest rates per capita and highest council operating surplus in the state, your Council is debt free, we provide the full range of services to ratepayers and we are continuing to enhance public facilities and amenities for our community. Importantly, we have Brighton’s fair rating model that guarantees that rates will increase by no more than the annual inflation rate. This has resulted in us keeping rate increases down to CPI for the past 16 years and this financial year we were able to also absorb the impact of the Carbon Tax on Council. It is worth noting that on the question of rate equalisation alone, based on current charges, rates for Brighton residents could increase by up to 40 per cent in any amalgamated greater Hobart Council. While Brighton has absolutely no problem in sharing resources with other councils to achieve efficiencies and to keep down costs and indeed we are a leader in resource sharing and providing services to other councils, we will not jeopardise our low cost advantages and the benefits that Brighton’s ratepayers enjoy. The Brighton community can be confident that Council will not support any proposal that disadvantages Brighton ratepayers and residents, or that ignores Brighton’s low rates regime supported by our fair rating model and the significant financial and social achievements of Brighton over the past decade. 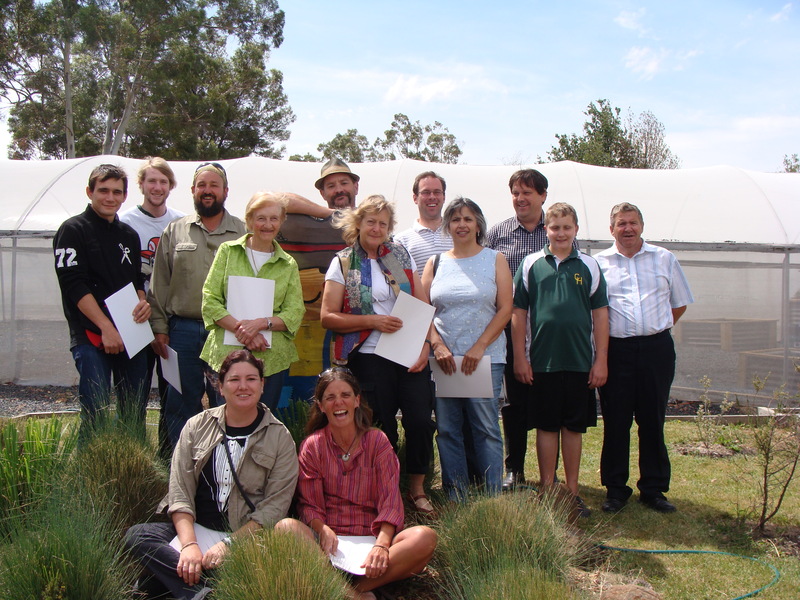 LAST month, we celebrated the successful graduation of students in the Cert 1 Horticulture Course. The course is the result of a partnership between St Vincent de Paul Society – Growth Centre, The Royal Tasmanian Botanical Gardens and Able Australia. The St Vinnies Growth Centre course graduates. GUNN Oval, the third oval to be developed at the Pontville Recreation Grounds, has been possible through a partnership with Cricket Tasmania, Sport and Recreation Tasmania, AFL Tasmania and Brighton Council. Gunn Oval has the added advantage of a turf wicket, which allows for pre-season cricket training. 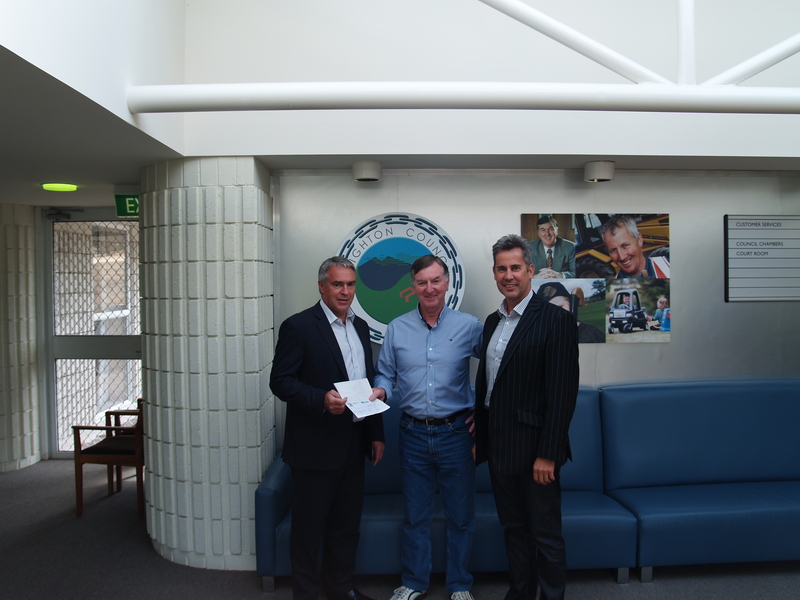 From left, Scott Wade CEO of AFL Tasmania hands over a cheque for $5000 to Brighton Mayor Tony Foster and Kyron Johnson President Southern Football League. The money will go towards the development of the third oval at Pontville. BRIGHTON has joined with 11 other Tasmanian Councils to stand up for regional communities over government decisions on forestry and other resource development issues.